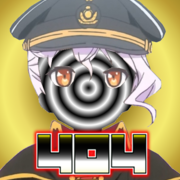 -404- Fleet Not Found is currently recruiting to capacity at this moment. What i would like to see is a full blown roster of unicums and stat padders to make it look glorious. This probably won't happen because i i can think realistically. I'm here to have fun in World of Warships like most of us. Faults and all. if you are an individual who yells at your screen when ever you get hit by a torp. I don't want you. To be fair nobody wants you as you are probably cancer to the game and clearly can't play competently. I want people who make mistakes and learn from them. People who can take a noob with zero experience to tolerable. I want to build a community of decent players, and maybe if we are all lucky perhaps even exist someday. There is a recruitment threat! Clans that recruit but don't join in Clan Battles! I was poking fun at the fact you call it a threat. It's not, it's called a thread.